Victor E. Uresti is a native San Antonian. He grew up playing CYO sports on the Northside of San Antonio and graduated from Tom C. Clark High School. 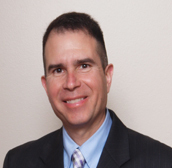 In 1987 he earned a BBA in Accounting from the University of Texas at San Antonio. In 1998 he was part of an audit team where he met Jorge Herrera. Soon after, Jorge and Victor decided to share office space. Their common belief in providing a good service to the client, in the importance of family, and in the Catholic faith led to a great friendship in addition to a successful business relationship which continues today.